On 3 October, at a meeting to discuss the drafting of a new housing code, Belarusian President Alexander Lukashenka said that helping citizens to improve their housing conditions will remain a key priority. However, while the state has achieved some success in helping the most vulnerable groups, the majority of the population cannot afford an apartment or have to queue for social housing for decades. High interest rates for loans, the absence of mortgage schemes and low salaries make homeownership an unattainable dream for many young Belarusians. Meanwhile, receiving public housing in rural areas may be easy (and even free), but few people agree to do so, because there is a trade-off. It requires working for a state-dominated agricultural industry that many Belarusians consider backward. State aid to acquire private homes has long been a major electoral slogan for president Lukashenka. The state, indeed, built a large amount of housing and kept prices below market levels for low income earners for the past decade. Jungles of social apartment blocks, in areas like Kamiennaja Horka, have become a cultural meme among the Minsk population. However, after the financial crisis of 2011, the construction boom and accompanying social housing programmes are beginning to trail off. Since 2007, the annual output of new housing space averaged about 5 million square metres. In 2017, the total area of new housing will be only half that. Exchange rates are also having an effect. The value of the Belarusian rouble to the dollar has fallen seven times since 2011. This has undermined Belarusians’ ability to buy housing. The rate of the average Minsk salary to a square metre of housing in the city centre is now 1:4. For comparison, in Warsaw, Prague and Berlin, the difference averages about 1:2 or 1:3.
International financial institutions also demand that the state reduces its subsidisation of the housing sector as a pre-condition for loan talks. The government has chosen to relent to these demands. The state indeed achieved a certain amount of success in providing housing to Belarus’s most vulnerable citizens. Large families (defined as having three or more children) and orphans can get a home loan at the lowest possible interest rate of 1 per cent. Inhabitants of rural areas and towns with populations below 20,000 enjoy a 3 per cent loan interest rate. A 5 per cent rate is applied to a wide range of groups, including military servicemen, young families with two children, victims of the Chernobyl disaster, families with disabled children, war veterans, and others. In July 2017, the government introduced a new financial instrument to support vulnerable social groups—targeted subsidies for home purchasing. The subsidy covers either part or the majority of a loan that a family takes from a bank. Taking into account the rate of annual inflation of 10 per cent, the policies for vulnerable groups offer real and generous help from the state. For the rest of population, however, banks offer only commercial interest rates of 14-15 per cent and for a maximum 12 years. Mortgage mechanisms are still unavailable in Belarus, and an average citizen cannot take a loan for 20-40 years. Meanwhile, mortgage interest rates in EU countries do not usually exceed 2-3 per cent and a buyer can take a loan lasting 40 years. Citizens that can be classified as “needing an improvement of their home conditions” can also enjoy a discount, which can as much as halve the market price. However, the queue for getting this discount has become legendary. In Minsk, the people who joined the queue in 1989 are only now receiving discounts on apartments. In regional centres, the situation is better, but people still have to wait many years. Thus, the government has so far failed to provide affordable housing to the majority of the population, focusing only on those most in need. Owning a flat remains an unattainable dream for most young people, especially those living in the capital. Due to the rapid growth of construction in the recent decade, almost no free land for housing remains in Minsk. The queue for social housing stands at 208,000 families. President Lukashenka has repeatedly demanded the slowdown residential construction in Minsk. The president instead advocates the development of satellite towns nearby the city. However, developers see this option as unprofitable. Satellite towns require large investments to build utilities, while the demand for apartments in these areas is not guaranteed. No wonder—few people would agree to move 20 km away to the towns, which often feature poor facilities. 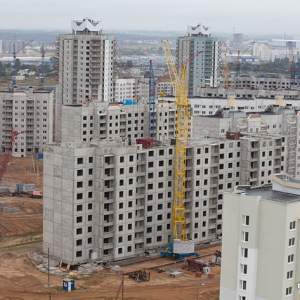 Therefore, construction in Minsk continues mainly through the demolition of old individual houses and industrial plants. This policy has repeatedly sparked social tensions and protests. Citizens leave their inherited private houses and old areas very unwillingly. Sometimes the protests can turn into vast social campaigns, as was in the case of Asmaloŭka area. The lack of kindergartens also remains a crucial problem for Minsk. The capital remains a hub for the migration of young people from all over the republic. Minsk has the largest population of children in the counrty. In some districts, the kindergartens are overloaded by 60 per cent. Rural Belarus – chance for a Renaissance? 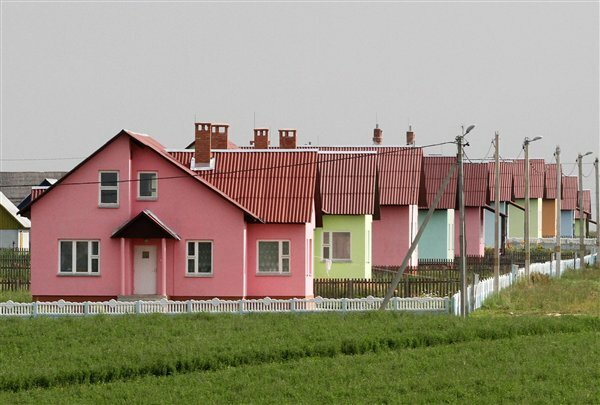 In the early 2000s the government invented a new approach to resurrecting Belarus’s deserted rural regions. Planners launched the 2005-2010 State Programme for Rural Revival and Development. The programme set out the concept of agro-towns. These are rural settlements with a high level of industrial and social infrastructure and amenities. Areas tagged for agro-town developments were to feature communal utilities, roads, housing, communication and transport, education and medical care facilities. The programme was aimed at attracting young specialists with families. It granted free housing to those who agreed to be employed at unpopular agricultural collective farms. As a result, 1500 agro-towns sprouted up in Belarus. Nevertheless, the rural population continues to fall. Rural communities now account for 22.1 per cent of Belarus’s population. While the idea of agro-towns appeared attractive at first, it did not resolve the main problem for rural areas—economic unattractiveness, stemming from the state’s monopoly over farming and Soviet-style management techniques. The government is now trying to create additional incentives for moving to the rural areas. A new, “revolutionary” law on business liberalisation may come into effect in the coming months. However, as long as the state remains the dominant owner of the agricultural industry, the people are unlikely to return to the land. No infrastructure or housing projects will bear fruit unless people can feel themselves owners of their farms and freely sell their production. On 5 October, Belarus will celebrate World Teachers’ Day, established by UNESCO in 1994 to show appreciation for the teaching profession and to draw attention to the rights of educators worldwide. Yet in today’s Belarus, teachers have no space for creativity and initiative, falling victim to the whims of the school administration, local educational departments, Ministry of Education, and even the Belarusian president’s son. While Belarusian schools struggle to modernise, teachers’ rights and the prestige of the profession continue to deteriorate. As a result, Belarusian youth avoid choosing careers in education, and enrolment in teaching programmes at universities remains low. In addition to their ever-increasing paperwork, teachers in Belarus must act as social workers, renovation specialists, regime supporters, and even seasonal agricultural workers. 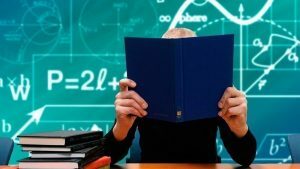 A recent large-scale opinion survey among teachers and high-school students, conducted by the Research Center of the Institute for Privatization and Management (IPM), showed that Belarusian schools prefer to adhere to familiar, Soviet-inherited dogmas in education. They fail to equip their students with skills and competences, essential for today’s knowledge-based societies. School administrations instruct teachers to uphold grades as a principal measure of students’ success, while local departments of education demand their constant growth. The focus dwells on quantitative aspects in education, rather than ensuring the individual progress of every single student. Learning by heart and reproducing textbook materials often come before developing creativity and critical thinking skills. Each year, teachers have to deal with an increasing flow of paperwork, including lesson plans and reports on grades, activities, classes, and students. One recent novelty is electronic class registers, which teachers must update along with their paper-bound equivalents. As a rule, teachers have to use their own personal computers to fill the new registers out. Access to school computers remains limited and waiting wastes precious time. Teachers are also responsible to ensure that all students buy lunches provided by school canteens. National sanitary norms stipulate that children must eat every 3.5–4 hours. If parents do not wish for their child to eat school-made lunches, the family has to offer an alternative solution for their child’s hot meal. Starting 2017, teachers were given the additional duty of administering electronic payments for school lunches on a daily basis. In addition to paperwork, teachers assume the job duties of a social worker. Schools often send them to inspect students’ living conditions, including the collection of information on parents’ income, the number of children in a family, and any religious affiliations. In spring 2017, teachers from several districts received orders to visit the addresses of all potential “social parasites” with a questionnaire to determine their status and to keep track of the unemployed. Until late 2016, schools were sending underage students to help agricultural enterprises harvest potatoes. This tradition was technically forced child labour. The practice only stopped after last year’s potato harvest, which ended with the accidental and tragic death of a 13-year-old student. However, last week, Belarusian media outlets reported that authorities in the Pastavy district of Belarus’s Viciebsk region decided to use teachers as unqualified, cheap, potato-harvest labourers instead of students. Moreover, deputy minister of education Raisa Sidarenka did not see any issue with this situation. She noted the teachers may have simply wanted to “aid [Belarusian] agriculture,” and were free to harvest potatoes alongside their professional duties. The list of extracurricular headaches for teachers is long. It is their duty to ensure the timely renovation of the classrooms and to convince parents to pitch-in financially. Teachers are also obliged to subscribe to a number of state newspapers, ranging from the leading pro-regime newspaper Belarus Segodnia, to Zorka and Znamia Junosti for the students. Thus schools force teachers to create a market for media, which otherwise might not be in high demand. Last but not least, when educational institutions serve as ballot stations during elections, the state intimidates school employees to become the instruments of stage-managed votes. Teachers thus become either passive onlookers or active perpetrators of election falsifications in Belarus. Opposition parties have been warning teachers of the immoral character of certain types of election practices, yet the majority of teachers are more concerned about keeping their jobs. On 11 September 2017, Belarusian writer Jauheniia Pasternak wrote an open letter to the Ministry of Education and all local district administrations. Her aim was to draw attention to the falling standards of the school education and the lack of respect for teachers. 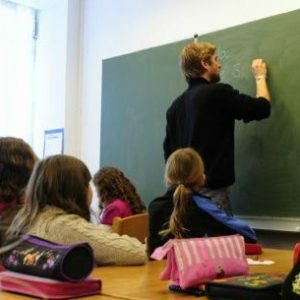 Over 9,000 people have already signed a petition endorsing better protection of school teachers’ rights, launched by Pasternak and her colleague Andrej Žvaleuski on change.org, an online petitioning platform. It identifies poor working conditions for teachers as the main problem for Belarusian education. Recent university graduates who start a teaching career can hope for $150 a month in the best case scenario, while an experienced teacher who takes on additional duties and extra classes can earn up to $350 a month. The main improvements suggested by the petition involve reducing all existing paperwork loads down to class registers, establishing a five-day working week for teachers, and ensuring a coordinated curriculum without the frequent change of textbooks. The petition’s authors also suggest to unite school graduation exams with university entry examinations, in order to introduce clearer learning criteria for students. Hopefully, this will enable teachers to design more effective courses and lessons. Finally, the petition demands that teachers should not be placed in conditions where they must lie or manipulate. For instance, school administrations often force teachers and their students to visit local unpopular sports events or concerts. The teachers cooperate as they are afraid to lose their jobs, while students visit these events in the hope of bargaining for higher grades. As long as the Belarusian state maintains conservative command methods in education, teachers will have neither say over the question of their working rights, nor voice in the design of the education reforms. Pasternak’s letter did not reach its intended addressees, who chose to ignore it. Yet her letter does appear to have stirred up the stewing discontent among fellow teachers. Public debate of the schooling system could become a first step for teachers in their quest to return the lost dignity of their profession.